Having a baby girl means there's normally a massive invasion of pink things in your life and after a little boy it's quite nice, however not everything your baby girl wears has to be pink! Here's some of the cute clothes and accessories we've been loving recently that aren't so much in the pink category. Love to the moon is a gorgeous little online shop which sells some very cool kids apparel t-shirts. Sizes range from 3-6 months up to 2-3 years. 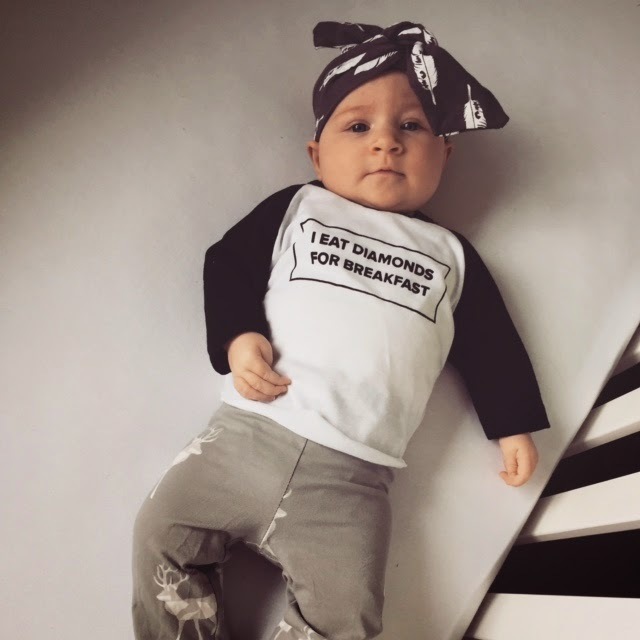 Here you can see Harlow sporting her very cute "I Eat Diamonds For Breakfast" tee. Prices start at £13.00. 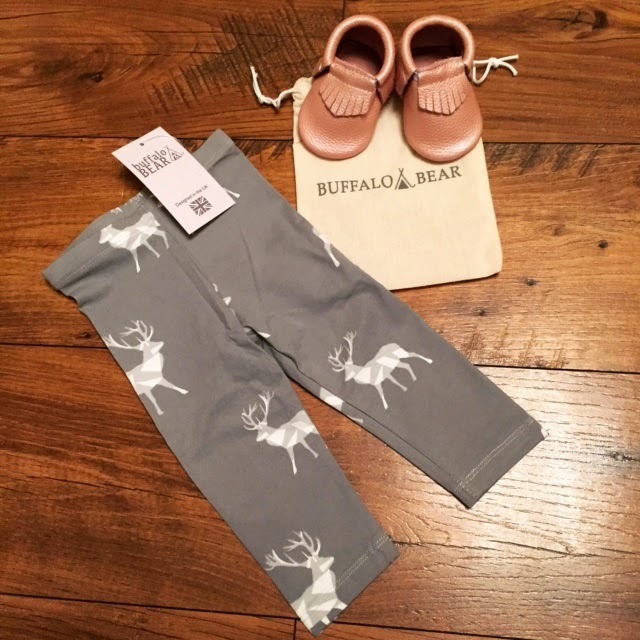 Buffalo and Bear sell some awesome leggings for both boys and girls as well as some funky moccasins in all different colours. The moccasins I bought Harlow are so soft, they're a little on the big side at the moment but I can't wait till her feet grow so I can get them on her. Size wise they range from 0-6 months up to 18-24 months. Prices start from £15.00. Max and The Star is an online Etsy store which specialise in some very cool Dribble Bibs but also make Infinity Scarves, cool Teethers and other items for your little one. 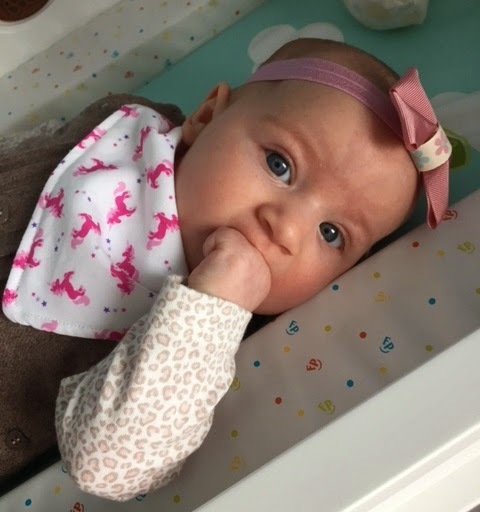 I've ordered a good few dribble bibs thus far and I've got my eye on some infinity scarves and a teether too! Just can't help myself. Prices start from as little as £3.00. I love Lilly + Sid, they're a boutique brand and I have some of their gorgeous clothing for Harlow as you can see from the photo below. All their clothes are designed by in house designers in London which is pretty special and they're just different. Some times high street shops seem to all have the same style of clothing so it's lovely to find something new and fresh. Lilly + Sid have a massive range of clothes for little ones from 0-8 years old. 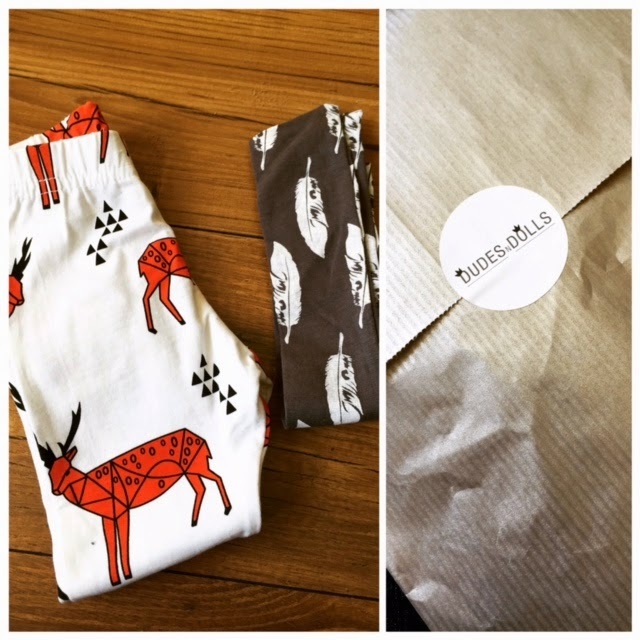 Recently discovered (on Instagram) I couldn't resist these awesome deer leggings and feather headband which were in the Dudes n Dolls sale. I'd been looking for a headband for ages and this one is perfect. You can see what it looks like in the very first photo on this post. Super cute, right? I need more practice though so it's not covering her eyes! Sizings range from 3 months to 4 years and prices vary depending on what you're purchasing. There's still some sale items left though so grab a bargain for a measly £4.00! 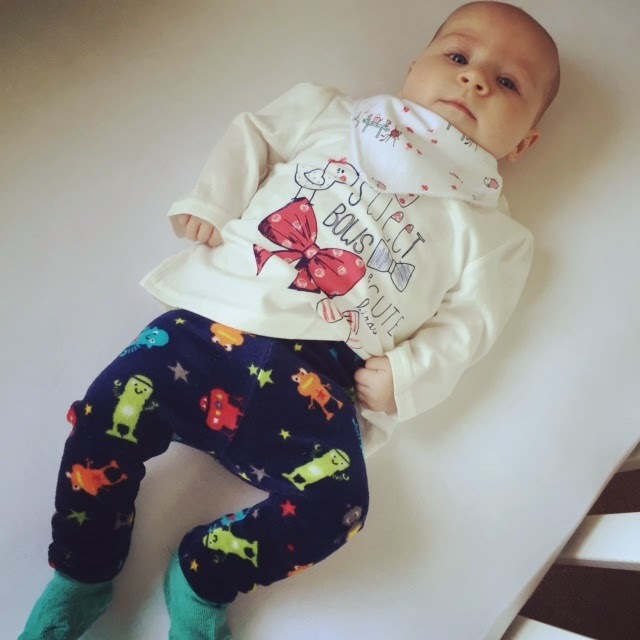 Last but not least there's Itsy Bits Children's Boutique who stock some very colourful and funky pieces of clothing including these lovely robot leggings handmade by The Princess & The Frock. You can't really go wrong with leggings, they're so versatile and easy to wear not to mention quite comfy for your little ones. 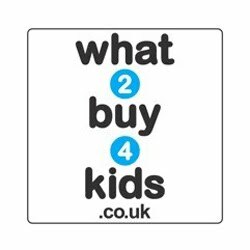 Sizes ranges from 0-12 years for some collections which is fab. 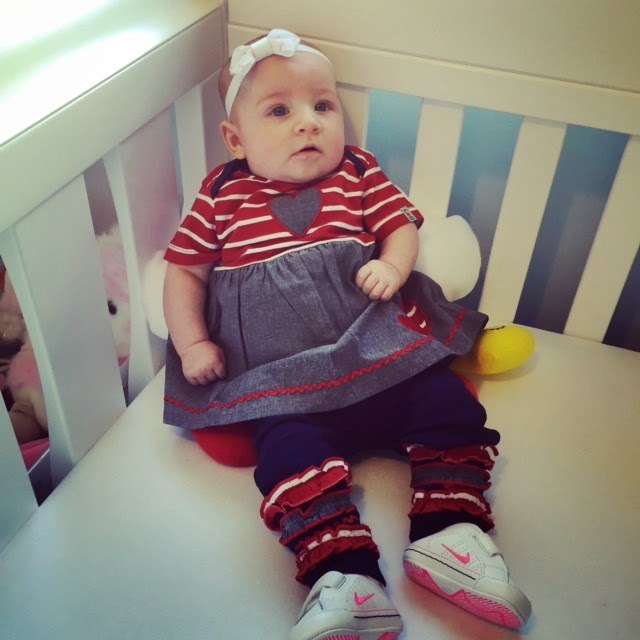 So that's some of the baby clothes we're loving recently. If you know of anymore cool brands/ boutiques/ little shops etc please do let me know as I love something a bit different. This is not a sponsored post. I'm sharing these shops because I love their clothes. All opinions are my own. 2 comments on "It Doesn't Always Have To Be Pink"